Thank you for visiting our site. 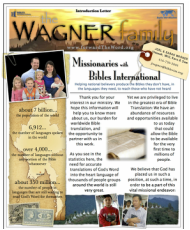 We hope these pages will allow you to know more about our family and the ministry the Lord has called us to - Bible translation in SouthEast Asia. ​ As you'll see in the statistics below and other articles on this site, the need for accurate translations of God's Word into the heart language of thousands of people groups around the world is very great. Yet we are privileged to live in the greatest era of Bible Translation in the history of the world! How does God expect you to use your opportunities and abilities? We are praying for more who are willing to be directly involved in this great task. We are thankful for all who are willing to be indirectly involved through their support. Would you plan on praying? We could not do without the many who share in our ministry through their prayers. We have an abundance of resources and technology available to us today to aid us in making the Bible available for the very first time to millions of people. We believe that God has placed us in such a position and at such a time in order to be a small part of this great work. Consider the opportunities that God has given you? If you're like us, you've grown up in a country free to worship God... in a church that preaches the Word faithfully... in a family that nurtured you to know and love God... and with a multitude of excellent Bible translations and Bible studies available to you. ​Whether you help through praying for us or partnering financially with us, we thank you!​ And as you pick up your Bible again we pray that you will better love and treasure what you have as a result of knowing about the millions who cannot share your familiarity or understanding of the only Word of Truth. 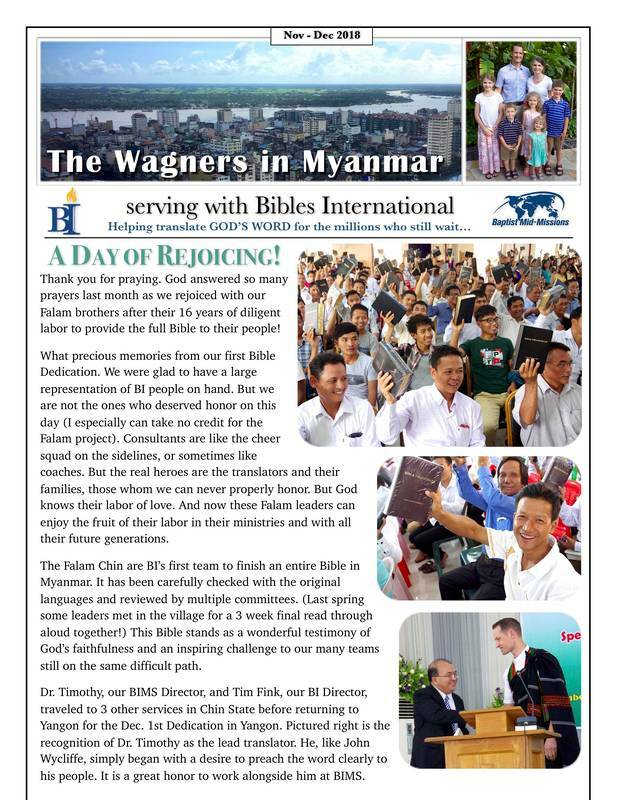 ​In 2015 we moved our family to Myanmar to live and work with national translators full time as a consultant with Bibles International. You can read our most recent news in the Updates section.